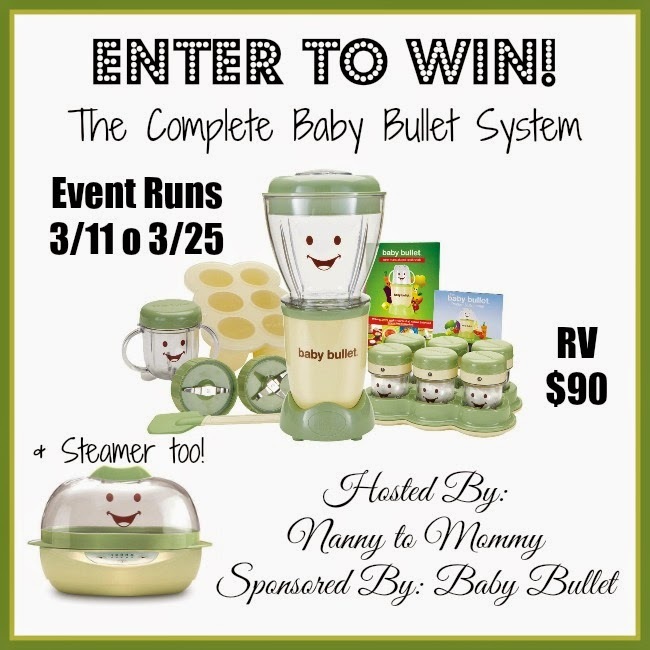 Enter to WIN a Baby Bullet System!! The bullet baby would be going to my grand daughters dad. My coworkers having a baby but loves to eat raw for herself and non premade food, this would be perfect.